Most people have unrealistic expectations when it comes to weight loss. They look for quick fix dieting plans that guarantee rapid fat loss. Some of you may have heard of the Two-Week Kellogg’s Weight Loss Plan, also called the “Special K Diet.” This is diet where you replace two of your regular meals with Kellogg’s cereal. The theory is that by replacing two meals with Special K you lower your caloric intake without starving yourself. However, this diet has multiple drawbacks that will set you up for failure in your dieting goals. It would be wiser for you to instead use a combination of portion control dieting and exercise to help you achieve your weight loss goals. However, if you insist on trying the Special K Diet here are some key things you should be aware of to assist you in your decision. Start your day off with a cup of Special K cereal and a cup of low fat milk for breakfast, which together comes out to approximately 225 calories. You are to eat this exact meal again for either lunch or dinner. Remember you need to eat this twice for two weeks straight. However, for your third meal you should eat a meal rich in protein and fiber but low on carbohydrates and fat. 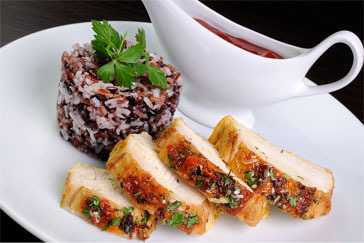 For example, eat chicken breast with a small portion of brown rice and steamed vegetables and a cup of fruit. During these two weeks it is encouraged that you snack on low calorie Special K bars, vegetables, and fruit. It is not advised you follow this diet for more than two weeks as it is very monotonous and you are likely to be tempted to cheat and binge on your diet after restricting yourself from other foods for so long. Does The Kellogg’s 2 Week Weight Loss Plan Work? The basic idea behind the two week Kellogg’s weight loss plan, also known as the “Special K diet”, is that you eat Kellogg’s Special K cereal for 2 meals out of your normal three meals a day. It’s difficult to make this or any fad diet work, and the best way to lose weight is always through a combination of realistic dieting and focused exercise. If you do decide to do the Special K diet make sure to follow the recommended serving size on the box, as it’s very easy to over-eat and eat too much cereal. What Kind of Special K to Eat? A cup of the original Special K cereal contains about 120 calories, but if you pick the flavors with more sugar there will be more calories. However, if you do decide to do this diet, it may be a good idea to mix up the flavors this way you do not get bored with the diet. If you satisfy your sweet tooth occasionally it is ok since you will be less likely to cheat on your diet with other junk foods like pizza, ice cream or cakes. It may be a good idea to use the Special K Protein that contains both 10g of protein and 3g of fiber to help keep you satiated. The glycemic index (gi) is a value assigned to foods based on how slowly or how quickly the foods increase the blood sugars level. Typically foods low on the glycemic index (gi) scale release blood sugar slowly and steadily. However, foods higher on the glycemic index release glucose rapidly. Why is this relevant for weight loss? Low gi foods (55 and less) generally increase feelings of satiety and aid in weight loss, while eating foods higher on the gi scale are best to aid in energy recovery after exercise. So when you are dieting, you want to focus on eating foods that are low on the gi scale. Given that the Original Special K is a processed food without much fiber, it has a moderately high gi of 69. It is no surprise that the other Special K flavors with more sugar will have a higher gi. This means you are more likely to have your blood sugars levels be high and still remain hungry during this Special K Diet. 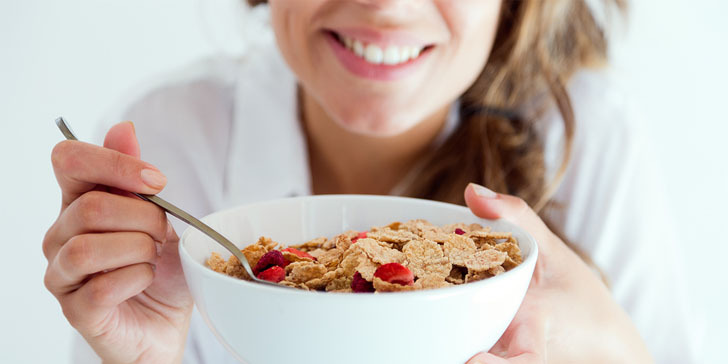 If you do this diet it may be best for you to eat this cereal with other foods that have lower GI score such as low fat milk, yogurt, nuts or fruit like bananas or apples. The other major drawback to this diet is that it does not take into account your activity level. If you are sedentary than perhaps this calorie restriction will work. However, if you go to the gym multiple times a day and lift weight and run, you will find yourself too fatigued to even finish your workout. Furthermore, by using such a restrictive diet you are very likely to end up cheating on your diet and binge eating. These restrictions also limit you from getting adequate vitamins and minerals from vegetables and fruits, as well as fiber and protein which should be the foundation of your weight loss plan. Calorie restriction is a crucial component of your dieting efforts. However, on the Special K Diet most people find that they are eating too few calories. Most men should be eating at least 1,800 calories a day, and women should be eating at least 1,200 calories a day. As mentioned earlier, a bowel of Special K cereal with a cup of low fat milk is approximately 225 calories. If you eat too few calories your body goes into a catabolic state and there is a hormone imbalance. You may experience muscle loss, fatigue, irritability, and overtime may develop anemia, osteoporosis, and loss of your menstrual periods. 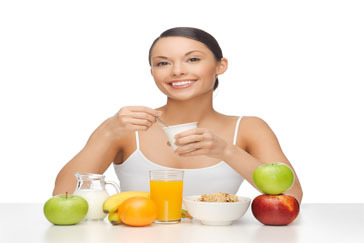 You need to make sure you get sufficient calories so in your cereal add some healthy nuts, yogurt or fruit. 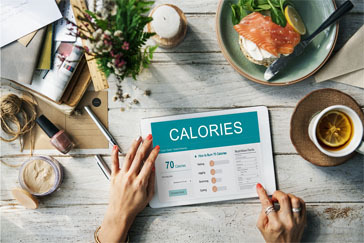 In order to find out how many calories you should be consuming refer to The nih Body Weight Planner. This tool determines your current caloric intake and you use this to see what adjustments you need to make to achieve your goal weight in a given amount of time. Once you find out how many calories you should be eating a day, subtract 500 from that. So if the nihcalculator recommends you eat 1900 calories, subtract 500 and now eat 1400 a day. This caloric deficit will help you burn fat. Ultimately the decision to do the Special K Diet comes down to you. Despite the many drawbacks, if you are consistent with it, you may find it worthwhile on the short term to lose weight. However, always speak to you physician about your decision to do a weight loss and dieting program before starting. Ultimately if you want to achieve appropriate weight loss you need a balanced diet and exercise program. Instead of just eating Kellogg Special K try eating superfoods backed with years of medical evidence shown to be effective. Start your morning off right with oatmeal and at dinner eat whole grain pasta to add more fiber to your diet. Be sure to avoid all the wrong foods that will get you fat. Remember to frequently eat 4-6 small sized meals or snacks that are high in protein and fiber but low in carbohydrates and fat. In the gym follow an exercise program that works your entire body and has moderate to high intensity aerobic exercise. Although this may seem overwhelming, remember that there is no quick fix for weight loss. It takes time, effort and consistent diligence to help you achieve your goals. 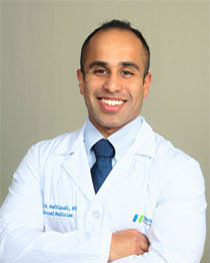 Be sure to speak with your physician before beginning any new diet or fitness program. If you need guidance, seek the assistance of a nutritionist and personal trainer. Have fun and get the body you deserve! disclaimer: Vixen Daily and its authors may offer health, fitness, nutritional advice but this is designed for educational and informational purposes only. All the information contained on Vixen Daily and its articles is not intended to constitute the practice of medicine. The information provided in articles on Vixen Daily should never be relied on, or used as a substitute or replacement for professional medical advice, diagnosis, or treatment. Vixen Daily and its authors are not responsible for any actions or inaction, safety or liability on a User’s part based on the information that is presented in the Site. If you seek medical advice, speak to a health professional in person about your particular issues. wow, i think i’m gonna try this soon! i love cereals but i don’t think i can eat just cereal for at least a couple of weeks. i will try this special K diet and add some exercise soon. i love cereals but i’m not sure i can last 2 weeks with this diet. oh no, i don’t think will will work for me. i’m gonna try other things except this. sorry, i’ll pass for now. i think i would like to try this, i’ll challenge myself with this diet. is this even healthy? lol! gosh, i don’t know anyone could last 2 weeks with just cereals! i haven’t tried having the same meal for 2 weeks, i don’t know if i’ll ever survive with just cereals. wow, i can do this! i’ll try it starting next week! i love cereals, maybe i can try this. wow, this is just too much for me i think. i don’t even love cereals, that’s why. i tried this but didn’t even last for a week, haha! maybe i can start again..
i think i better try this soon! at first, i thought this was a very crazy idea. but my friend tried it and it worked for real! i once started this diet but didn’t last. i admit i wasn’t 100% committed back then. now i want to really do it.